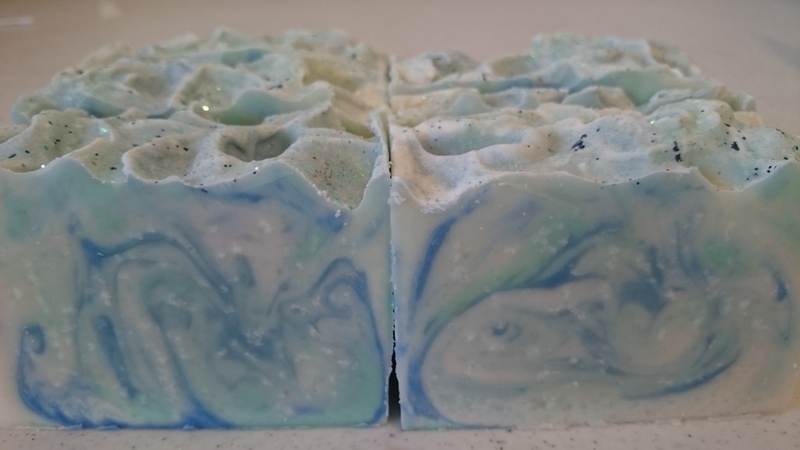 This soap is made with fresh avocado and creamy goat milk. This was the first time I used avocado in soap – I only use the oil. I’m anxious to see whether fresh avocado feels any different than the oil in soap. Rich goat milk increases the conditioning and creaminess of the soap so it will really pamper my skin. To capture the essence of the movie Frozen, I used ultramarine oxide, green mica, and glitter – you can’t have a Disney soap without glitter. 😉 And yes I did play the soundtrack while making this!